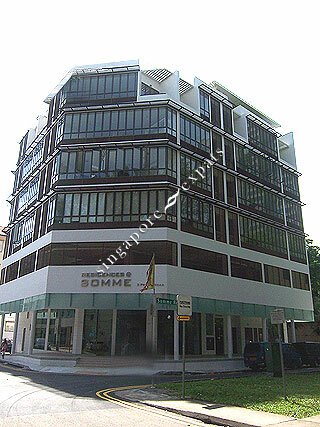 Residences @ Somme is a boutique apartment situated along Petain Road near Jalan Besar and Lavender Street. Residences @ Somme is situated in a zestful district filled with the arts, sports and cultural richness. Well situated at the fringe of Central Business District (CBD), the convenience is at your door-step. Residences @ Somme has easy access to comprehensive amenities along Lavender and Jalan Besar. Residences @ Somme is also within close proximity to Eminent Plaza, Lavender Food Centre, Parco Bugis Junction, Jalan Besar Stadium, Jalan Besar Swimming Complex. Residences @ Somme is easily accessible via Central Expressway (CTE), East Coast Parkway (ECP) and Nicoll Highway. Public transport is readily available along Jalan Besar and Lavender Street. Value for money for the location and convenience. Very convenient . short walk to shopping centre and MRT.